« Volunteer Appreciation-Name that Tune! Tecconnect and Business Link believe that small business supports should be accessible to people across Alberta. 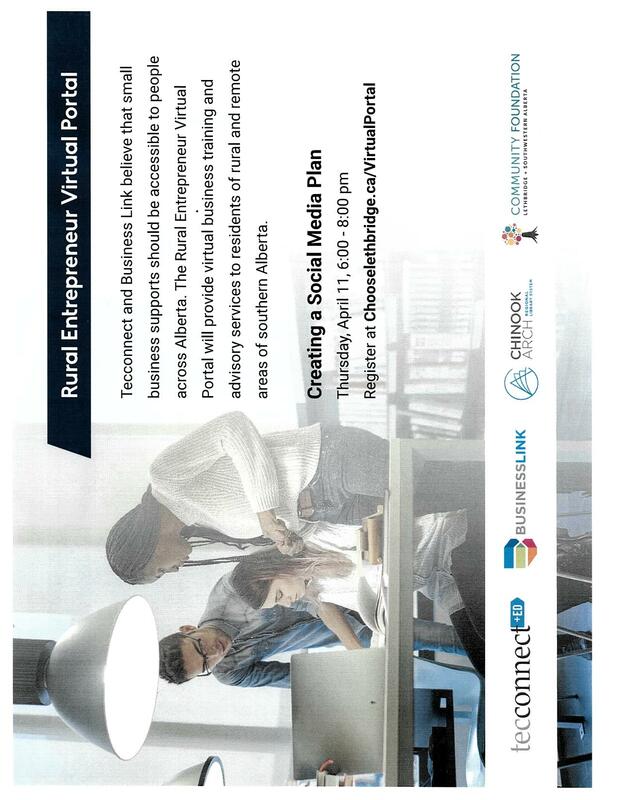 In partnership with Chinook Arch Regional Library System, this pilot project is providing virtual business training and advisory services to residents of rural and remote areas of Southern Alberta. So, you’ve decided your business needs a social media presence or maybe you just want to step up your game. With billions of people using sites like Facebook, Instagram, Twitter and YouTube, it’s likely your audience is waiting for you online. Wondering how you will find time to manage accounts on all these platforms? Don’t worry – we’re here to ease some of your fears.